Dr Grace Pailthorpe (surgeon/ psychoanalyst / artist, 1883-1971) and Reuben Mednikoff (artist, 1906-1972) began collaborating in 1935. From that year until their deaths, they produced a huge body of work that included startlingly vivid and wildly experimental paintings and drawings, often paired with in-depth psychoanalytic interpretation, as well as autobiography, poetry and short stories. 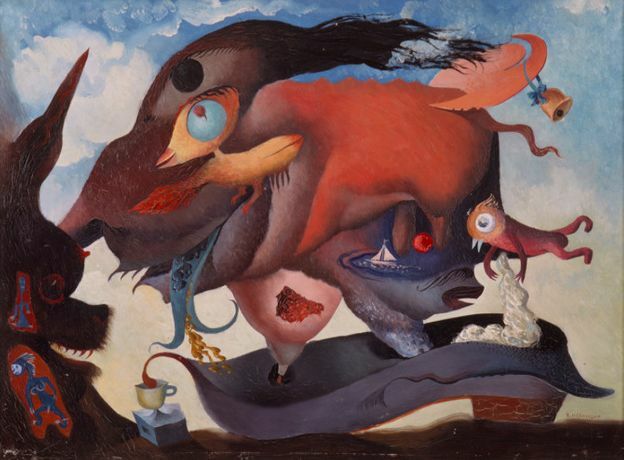 They spent decades of their lives researching how the visual and literary arts might liberate individuals and societies from the constraints that sickened and impoverished them, together developing a creative process that combined Surrealism with psychoanalysis, bringing artistic and scientific thinking together.